Research author Sam Barker said: “Edge computing will provide the necessary network capabilities for the provision of services. Decentralising network functions by moving them to the edge will facilitate the ultra-low latency and faster processing power needed”. These are booming times for cellular M2M, according to a new report from Juniper Research. The company has found that the total number of M2M connections is set to rise by a massive 220% over the next four years, reaching 1.3 billion worldwide by 2022. The report M2M: Key Verticals, Technology Analysis & Forecasts 2018-2022, predicts growth for the newer technologies – notably NB-IoT, LTE-M and 5G – which are expected to account for nearly 10% of all M2M connections by 2022. Cellular operators are looking to upgrade their systems to support these emerging technologies. According to Juniper, there are three key areas where cellular M2M is expected to have a major impact: smart cities, where annual growth is predicted to be about 66%; agriculture, with an expected annual growth of 37% and, with a growth rate of 34%, smart meters. 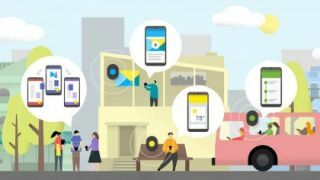 The growing interest in smart cities and connected technologies needed in urban environments will lead to a boom in LPWA (Low Power Wide Area) access technologies. Juniper predicts that more than 25% of cellular smart city devices and applications will operate over these networks by 2022. This technology is particularly appealing to urban planners thanks to the low cost per connection. A battery life of 10 years will become appealing for monitoring city operations including transport and public energy infrastructure. However, 5G technology will also have to be implemented to ensure there’s sufficient bandwidth to handle smart city applications. For example, according to Juniper, connected cars will generate over 7,000 Petabytes of data and infrastructures need to be put in place to handle this.